Jarhead Red. 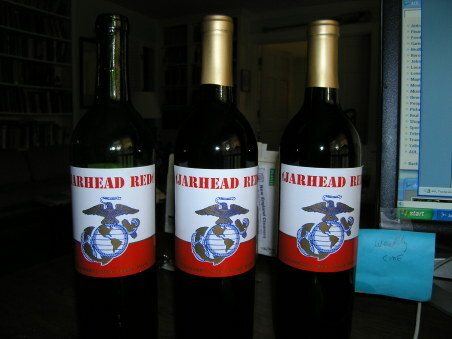 Made by Marines, with profits to the Marine Corps Scholarship Foundation.�Nothing fancy, but it tastes fine. (I checked, to make sure.) Each Thanksgiving we give thanks to God, to our ancestors, to our friends and family, and�to our armed forces. Not to our politicians - never. man, ya gotta love that label. No baloney involved.